Your Key to Success: Design Tools That Let You Visualize Your Renovation — Jostar Interiors Ltd.
As professional Interior Design Consultants we are trained to follow a set of informal rules based on interior design principles and elements to bring our clients’ visions to light. We use the seven elements of Space, Line, Forms, Light, Colour, Texture and Pattern to create spaces which are aesthetically pleasing and increase functionality. As an interior design client, when starting your design project, you will want to understand how the space will look and function once the design is complete – sometimes it can be difficult to imagine what it will look like when it is done! We can help you imagine the space by using several different tools to help you “see” what the final space will look like, how it will function and understand what it might cost. Each of the tools will help you understand a different aspect of the design before you get your project underway. 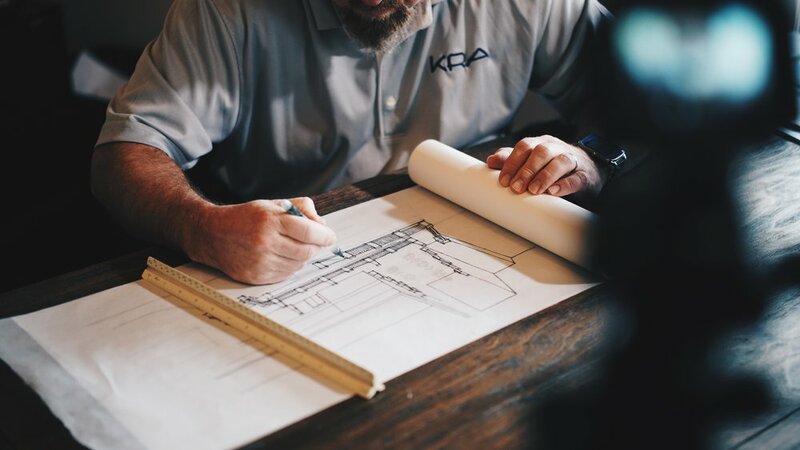 As an interior design client you can request the kind of information you think would help you best understand what your project will look like when completed. Your designer can develop a digital floor plan overview of how your space will look, function, and the various changes that will take place to the current space. The drawings are a 2-dimensional, to scale overview of the space shown from above. It will show where all the elements will go such as cabinets, appliances, interior walls, windows and doors. You are able to give feedback to your designer and they will work with you to modify the plan so the space best suits your needs. A mood board will help you understand what the room will look or feel like – the mood the finishes are trying to create. The mood board illustrates the style, feel and look of a room by including flooring, fabric, paint colour samples, pictures of furniture, tile and other elements. The mood board is done at the start of a project to get the first ideas right and is then used to guide the development of the design. An elevation drawing is able to show the front and side view whereas a space plan drawing only shows the layout from above. The elevation drawing allows you to see the space from different points of view to understand how different elements will work and look. This type of drawing can be useful when your renovation includes cabinetry for kitchens or bathrooms, fireplaces, bars or other built in cabinets. It allows the client to make changes at the design stage before anything is ordered and onsite. A 3D rendering is a three-dimensional virtual model of the floor plan which allows clients to understand how the renovated space is going to look once completed. The model incorporates all of your plans and ideas in order to give you a preview of how your new room, home, or area is going to look and feel. It will be perfectly to scale, letting you see for example how much space you will have between your new island and your kitchen sink before construction. Seeing before you start renovating can save you money as it reduces the number of changes you make after your renovation has begun. You will also be able to see the impact of each change you might want to make and how it will impact the space. In a black and white 3D rendering you would be able to see tile patterns, cabinet door styles and other graphical elements which can be shown with lines. The advantage of the colour 3D rendering is you can see the kitchen cabinets in the wood grain and stain you choose or how the paint will look with the stone you choose for the fireplace. While not a fancy tech tool, product selections and recommendations can be just as valuable. Your designer can order in actual samples of products you are considering and make recommendations from those selections. You can see how all of the elements will work together and touch and feel the products. Using some of the tools above will help the designer determine a budget for your renovation or design project. Investing in some of these visual design tools from the start will save time and money in the long run as there is less chance of changing once construction is underway or having to go back and redo elements once you see them in place.